Bertech ESD Mat Kits are made of a single layer polymer mix. They are designed to provide a static safe work surface for static sensitive products. 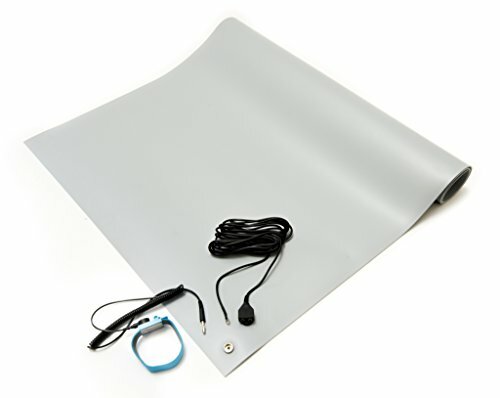 These ESD Mat Kits are low cost, durable, easy to cut and are reversible. Surface resistivity is 10^8 – 10^9. Meets ASTM D412, D1004, D2240-75 and ESD S4.1-1997 standards. Service temperature is -20 Degrees to 160 Degrees Fahrenheit.